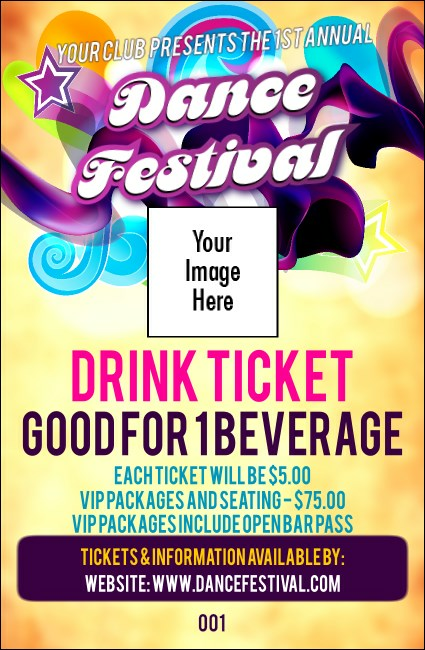 Feed your guests' disco fever when you give them Disco Dance Festival Drink Tickets at your next event. Help everyone keep stayin' alive on the dance floor with tickets that feature a bright and colorful background with a unique 70s design, and give you room to upload your own image. Find a ticket that speaks to your inner diva at TicketPrinting.com.